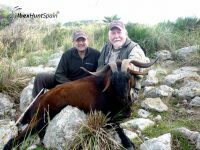 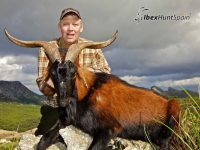 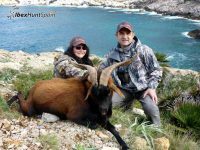 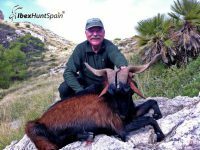 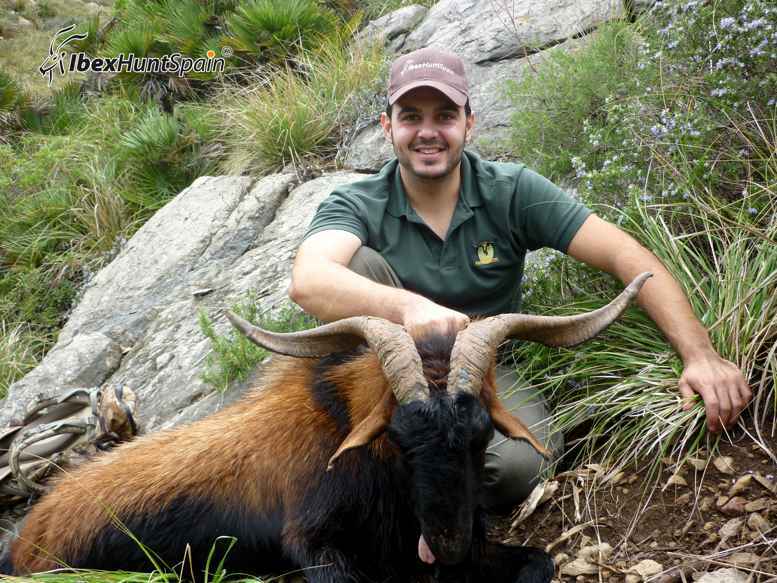 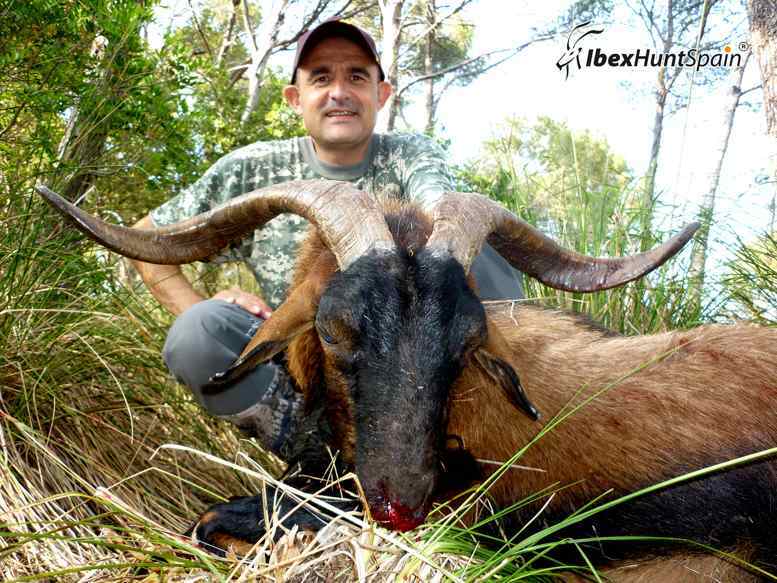 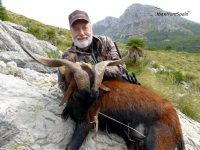 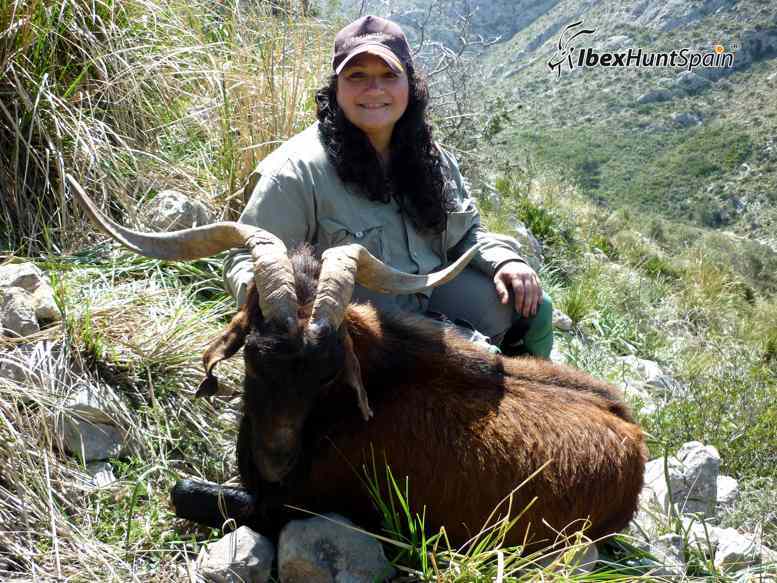 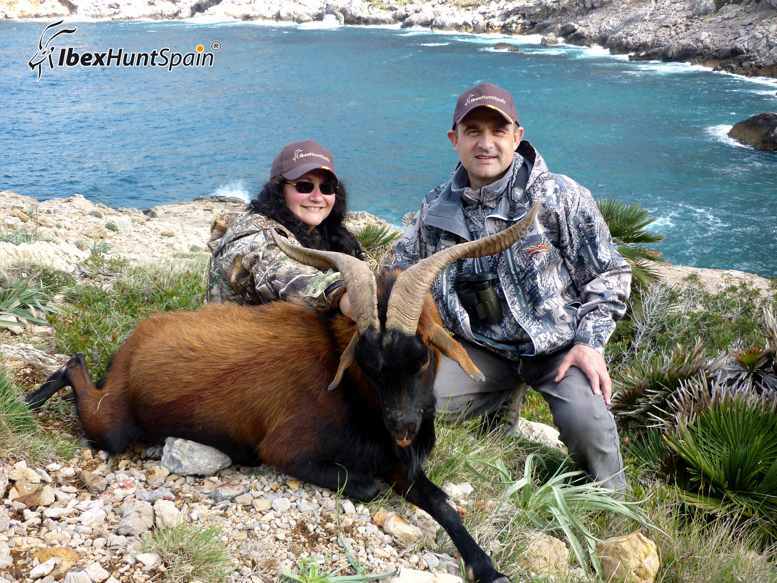 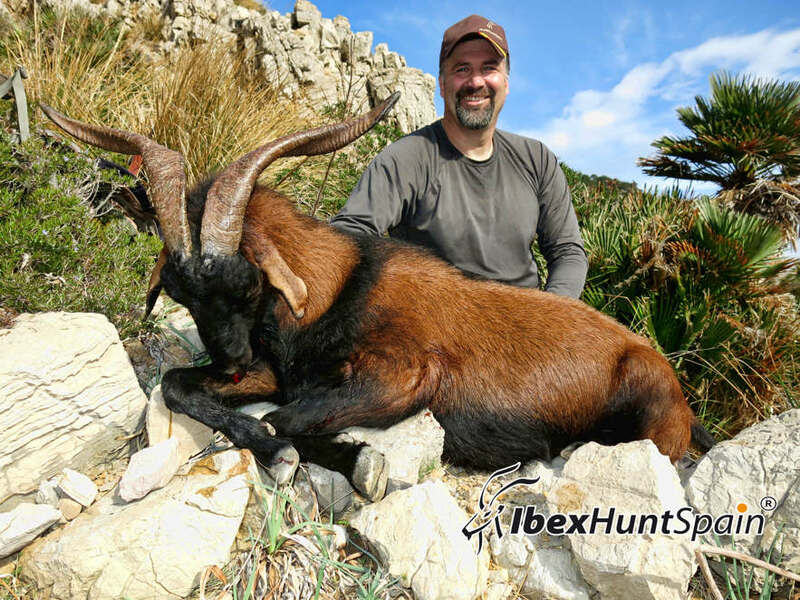 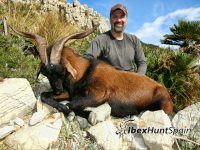 The Balearean Goat, also known as Mallorca’s wild goat or Balearean boc hunting is internationally recognized as an approved hunting trophy by Safari Club International. 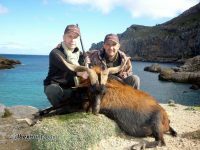 The balearean boc hunt is done by Spot & Stalk in high mountain from September to May, but we can offer all year. 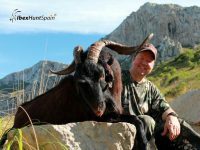 The Balearean Goat, also known as Mallorca’s wild goat or Balearean boc, is internationally recognized as an approved hunting trophy by Safari Club International and the local Balear Government: GOVERN DE LES ILLES BALEARS. 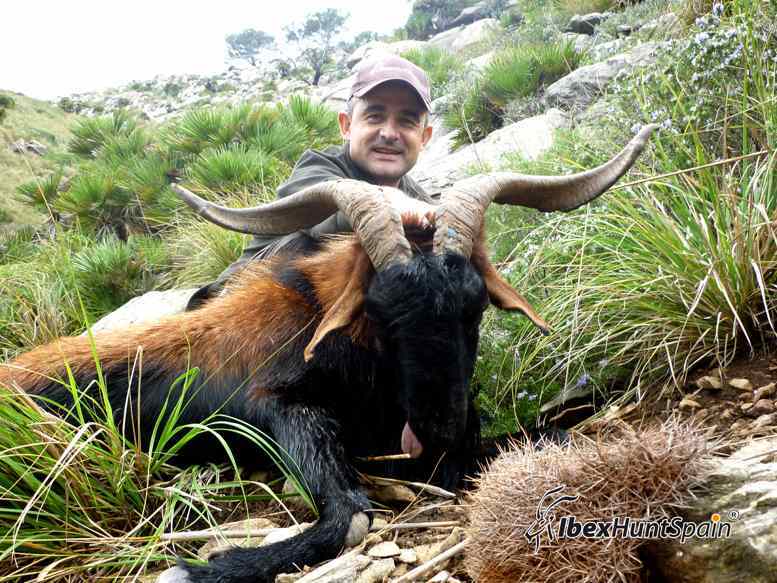 We collaborate with them and we certify hunting of the pure race of Balear goat. Its coat is short, bright, and brown-reddish with black stripes on the rear of the body and black legs. 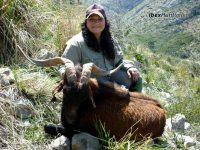 Both sexes have horns, but only the horns of the males grow spirally, being long and thick and show a long black beard. 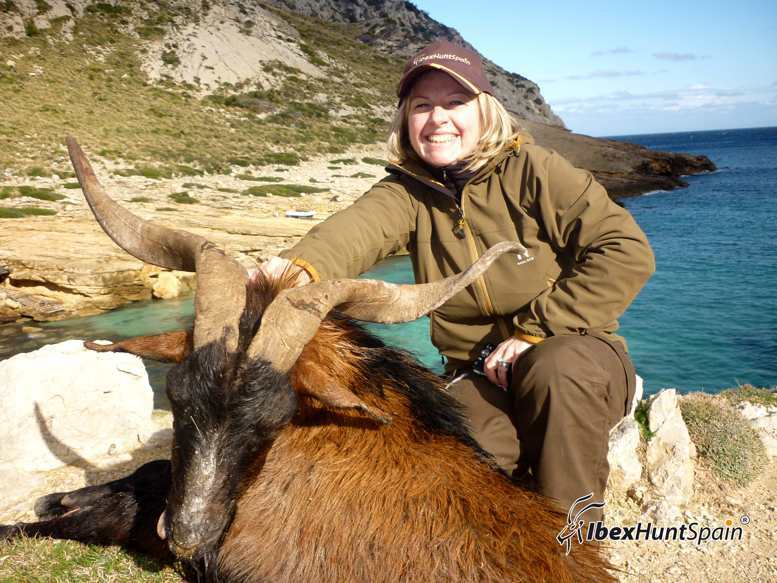 Horns of the females are parallel and curved. Females with young and males live in separate groups, with males approaching the female group only during the mating season. 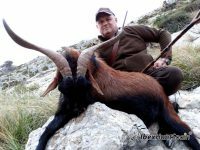 Hunting is done by Spot & Stalk in high mountain. 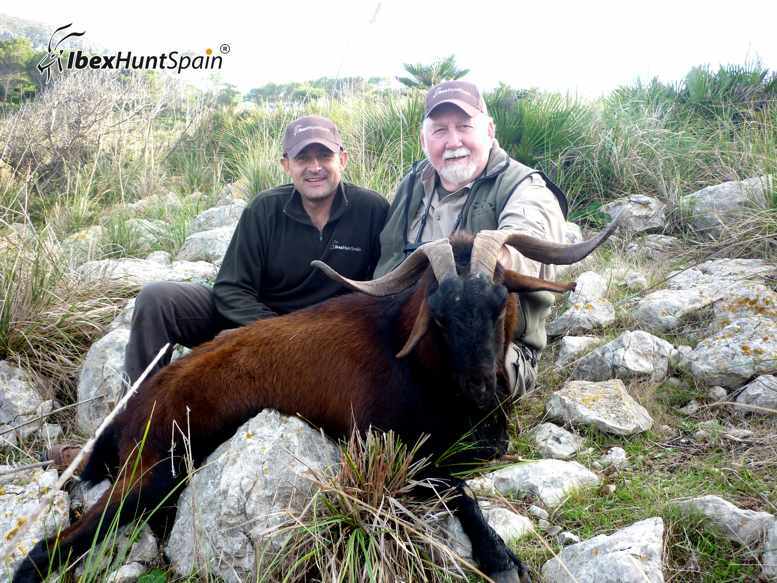 From September to May, but we can offer all year. 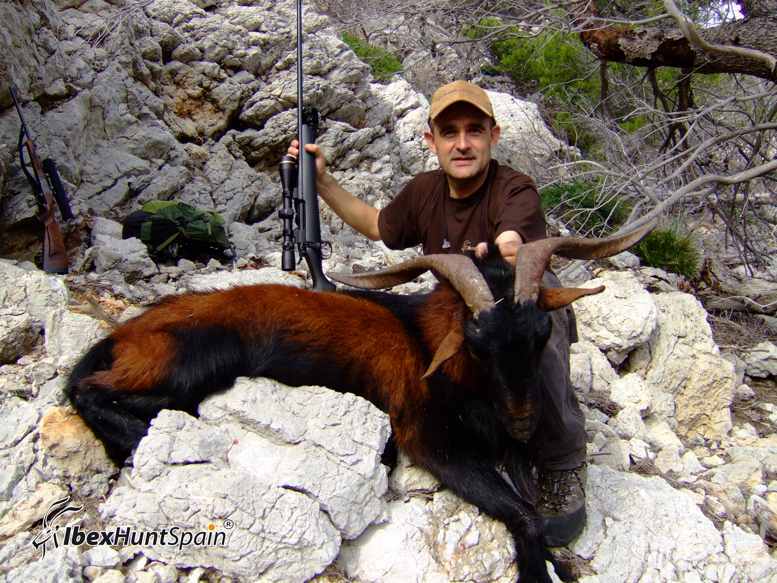 The hunting area is at least 1 hour from Mallorca airport.